The Federal Government has approval the bearing of arms by personnel of Aviation Security (AVSEC) to enhance the National Civil Aviation Security Programme (NCASP). The approval has secured the support of the Aviation Round Table Safety Initiative (ART). The President of ART, Mr Gbenga Olowo, said on Wednesday in Lagos that the primary objective of AVSEC was the protection and safety of passengers, crew, ground personnel, aircraft and facilities serving the civil aviation. 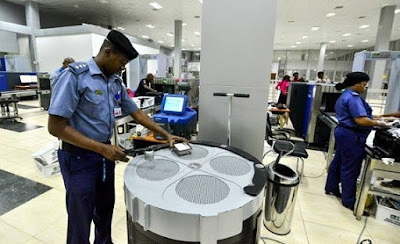 The Minister of State for Aviation, Sen. Hadi Sirika, recently announced that the AVSEC officials at the airports would start bearing arms within the next three months. » Want To Study Nautical Science, Marine Engineering, Aviation With Your Waec or Neco Result?? ?